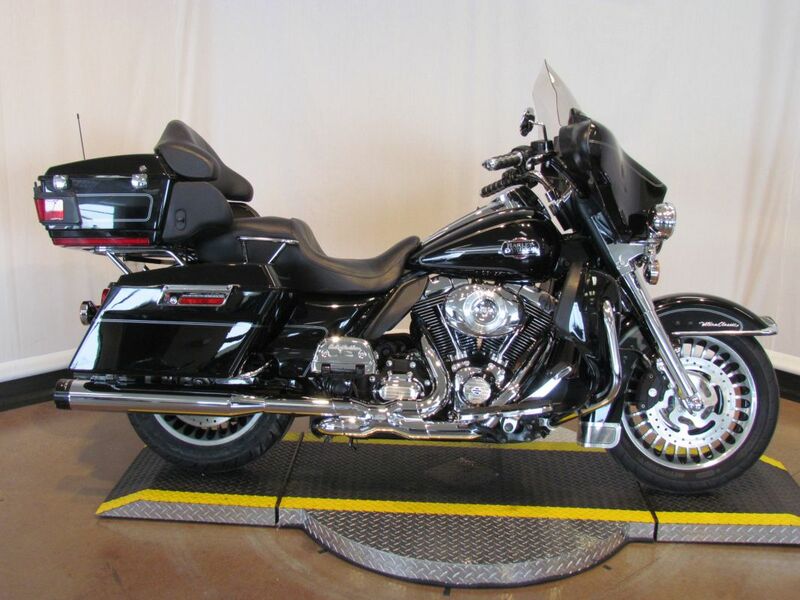 The Ultra Classic® Electra Glide® sets the standard for long-haul touring comfort and convenience. Though many imitators sought to duplicate it, the Ultra Classic Electra Glide stands tall as a benchmark for touring enthusiasts. 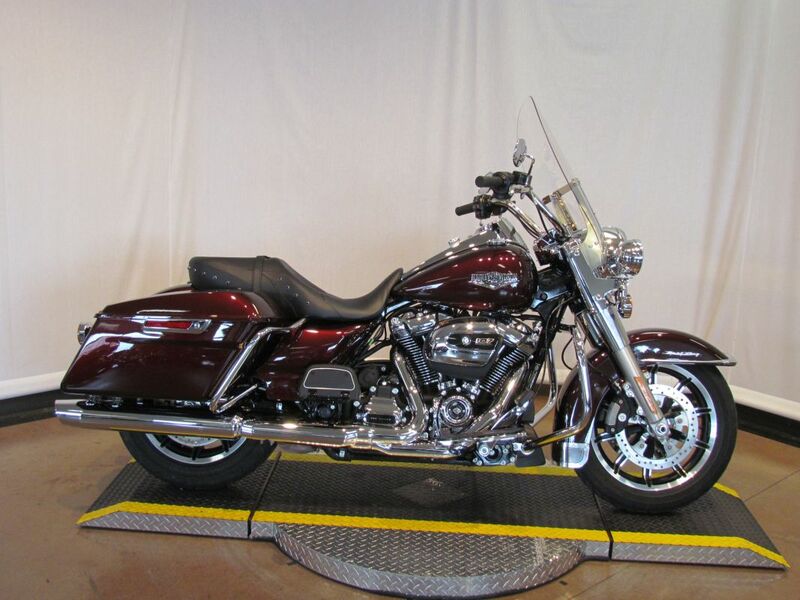 A four speaker, 80-watt Harmon/Kardon® Advanced Audio System, one-piece, two-up Electra Glide® Classic comfort stitch seat with passenger backrest, adjustable fairing-mounted air deflectors, vented removable fairing lowers with integral glove boxes, spacious Tour-Pak® carrier and injection-molded hard saddlebags, and standard electronic cruise control, all combine comfort and function as styling touches that make it a Harley-Davidson. 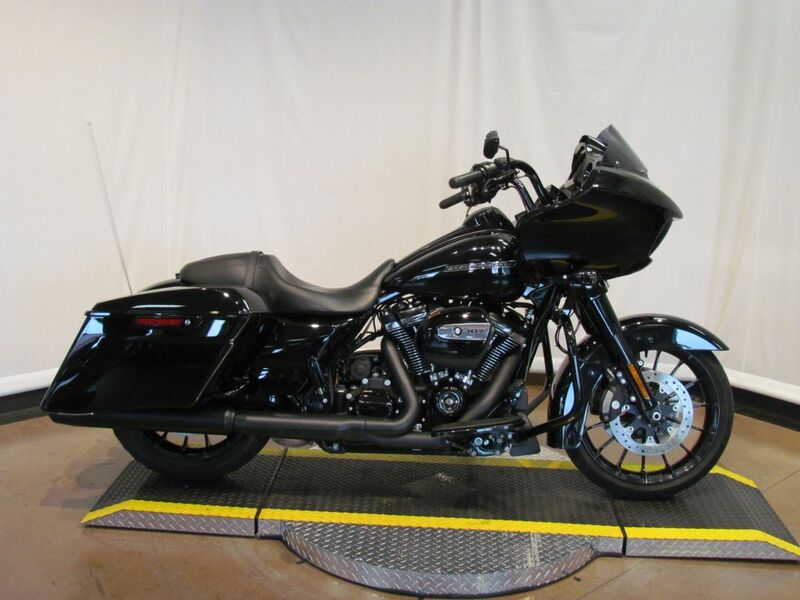 Installed Accessories Include, “Shorty” Antenna; Rinehart Mufflers; Vance and Hines Headpipes; Stage 1 Air Cleaner; Chrome Front Forks; LED Headlight and Running Lights; Custom Grips, Floorboard Inserts and Pedals; Windsplitter Windshield.